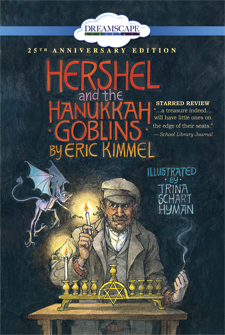 Eric A. Kimmel is a well-known folklorist and the author of numerous books for children, including Hershel and the Hanukkah Goblins, a Caldecott Honor Book illustrated by Trina Schart Hyman, and The Rooster's Antlers: A Story of the Chinese Zodiac, illustrated by YongSheng Xuan. He lives in Oregon. 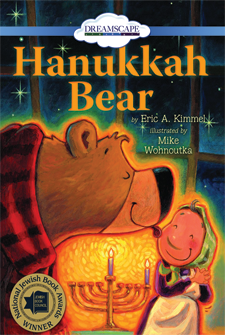 A traveler rids a village synagogue of ghosts in this adaptation of the 1990 Caldecott Honor Book. A traveler rids a village synagogue of goblins in this adaptation of the 1990 Caldecott Honor Book.